Funeral services will be held on Tuesday, March 26, 2019, at 11:00 A.M. in Our Savior’s Church, 1201 East Broussard, Lafayette, LA 70508 Lafayette Campus on East Broussard, for Lynn Williams, 56, who passed away at his residence in Lafayette on Wednesday evening, March 20, 2019. Pastor Nick Carroll, will conduct the funeral services. Survivors include his two sisters, Madonna W. Golson and her husband, Joe Golson of Youngsville and Ladana W. Deshotels of Lafayette; four brothers, Ricky Williams and his wife, Sherrie of Breaux Bridge, Brian Williams and his wife, Shari of Houston, Randy Williams and his wife, Karen of Scott and Lyle Williams and his wife, Shelly of Metairie; nieces and nephews, Derek Williams, Kaelynn Jennings, Jarrod Williams, Jonathan “Hoop” Hooper, Jacob Hooper, Blaine Williams, Brandon “Bam” Williams, Brennan Williams, Hunter Golson, Kaleb Golson, Tori Fontenot, Ryan Deshotels, Jayden Guidry, Michael Pennington, Emma Pennington, and Andrew Williams; uncles, Bobby and Jackie Menard and numerous nieces and nephews. He was preceded in death by his parents, Howard Norman Williams and Verna Mae Menard Williams; his best K9 friend, Buddy; numerous aunts and uncles. Lynn was a loving and caring person that lived his life for family and the University of Louisiana. The Williams family would like to ask all friends to wear UL attire. Pallbearers will be Derek Williams, Jarrod Williams, Jonathan “Hoop” Hooper, Jacob Hooper, Blaine Williams, Brandon “Bam” Williams, Ryan Deshotels, Lloyd Darby, Chris Conway and Gerald Broussard. Honorary Pallbearers will be Kerry Conner, Ian Guillotte, Coby Guidry, Derek Fontenot, Kaleb Golson, Brennan Williams and his UL Athletic Family. The family requests that visitation be observed at Our Savior’s Church, 1201 East Broussard, Lafayette, LA 70508 on Monday from 4:00 PM to 9:00 PM and on Tuesday from 9:00 AM until time of service. To send flowers or a memorial gift to the family of Lynn Williams please visit our Sympathy Store. 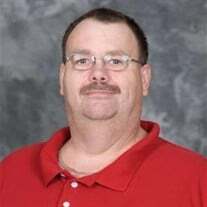 Please click on www.athleticnetwork.net - Photo Gallery (left side of home page) - Equipment Managers (in menu of photo gallery) - any of the years - from 1986 through 2018 and you can view photos of Lynn with his staff as they served the needs of UL athletics - always with a courteous demeanor and helpful attitude. RIP, Lynn.